Fendt is not just a name, Fendt is a conviction. With Fendt tractors and harvesting machines, farmers and contractors can reach their goals faster and with a higher yield. That is why it is our aim to fulfil the requirements of our customers, even to exceed them, and to help them to success where everything begins: at the interface between the sky and earth, where nature and agricultural expertise meet. This is where Fendt drivers profit directly from efficient technologies that have been engineered to enhance economy – for more profitable and sustainable food and fodder production as well as the improved use of natural raw materials and energy. The Fendt team affectionately jokes, "It's not fuel, but hydraulic fluid that flows through the veins of a Fendt tractor." In fact, it is the ingenious Vario transmission that makes up the heart of each tractor from Marktoberdorf – to this day unbeaten in efficiency, dynamism and comfort. Vario – synonymous for smooth driving and now boasts over 250,000 customers worldwide. In November 2016, the 250,000th Fendt Vario transmission model rolls off the production line in Marktoberdorf. More than twenty years after the first tractor with continuously variable Vario transmission was introduced, the quarter of a million mark has now been reached. 250,000 Vario transmissions – that means 250,000 happy customers relying on the stepless drive for its power, dynamics and driving comfort. It was the world's first tractor with a continuously variable drive: the 1995 Fendt Favorit 926 Vario. This tractor revolutionised agricultural technology. It was not only the 6-cylinder MAN engine with 260 HP that astounded visitors at the 1995 Agritechnica fair, but also the revolutionary Fendt Vario transmission that, for the first time, combines the efficiency of a quick shift gear with the advantages of a continuous drive. Fully future-proof, even back then it met the growing requirements of agricultural contractors and large-scale farms. There were a number of reservations and the market was hit by a string of crises, but that did not stop Fendt from backing an innovation that was as visionary as it was complex. There were plenty of challenges for the Fendt gear developers. The vehicle electronics were still in their infancy in the early 90s but it was already clear that control and operation would no longer be mechanical but electronic in the future. The classic gear lever was defunct. In its place came the now familiar, easy to use multifunction joystick. A new challenge came about to improve comfort, as the oil pumps were far too noisy in the beginning. "We developed a solution to soundproof the pumps with a flexible mounting system," reminisces gear developer, Richard Heindl, who has worked on the Fendt Vario transmission from day one. For him and many other Fendt engineers, the target was in clear sight; "I personally have a farming background and was fascinated by the idea of a tractor that just drives – at any speed, uphill or downhill, backwards or forwards, without juddering nor loss of traction, all without switching gears. "The idea is that the operator should be able to focus on what's really important; the work on the field." And today, when automated driving has long since become reality, Fendt customers have testified to the enormous advantages of the Vario transmission two hundred and fifty thousand times over. Did anyone see this coming? "We at Fendt were always convinced that our transmission was a winner," says Heindl, looking back at the last 20 years. "The project was kept secret for a long time. We were very proud when we were finally able to announce the first continuously variable transmission gearbox. Because we knew that it would change agricultural technology forever". 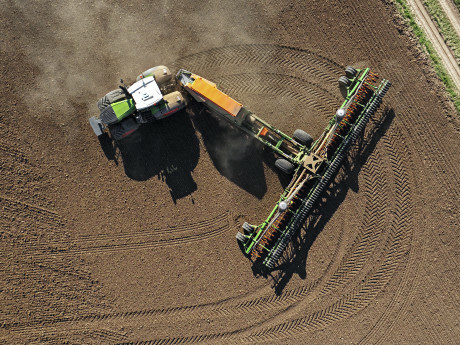 Fendt VarioDrive: dare to try something new. 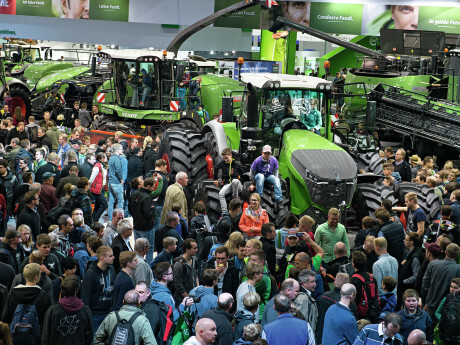 The launch of the 1000-series at Agritechnica 2015 – exactly 20 years after the first Fendt Vario tractor was introduced – heralded the next generation of Vario transmission gearboxes. Fendt VarioDrive is the name of the gear generation which has been consistently further developed from the ground up. This range includes the first permanently variable all-wheel function thanks to the independent axle drive – an entirely automatic system, without any operator intervention. 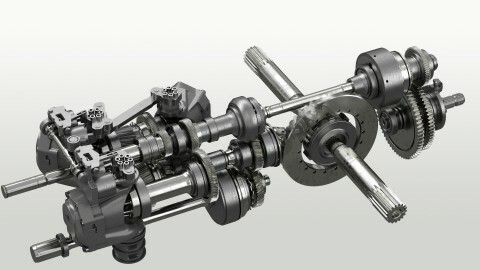 New to this generation; both the rear and front axles have their own hydro motor. Agritechnica 2015: The Fendt 1000 Vario with the new Fendt VarioDrive drivetrain has won every prize going; Tractor Of The Year, Machine Of The Year, DLG Silver Medal. 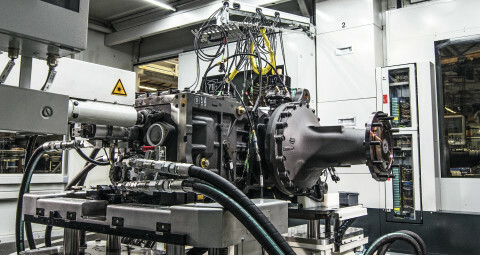 The 3-tonne VarioDrive-transmission of the Fendt 1000 Vario is built at the transmission plant in Marktoberdorf. Do your best work, everyday. Permanent all-wheel function, enhanced tractive power and more manoeuvrability, these are all the hallmarks of the Fendt Vario 1000 with VarioDrive. 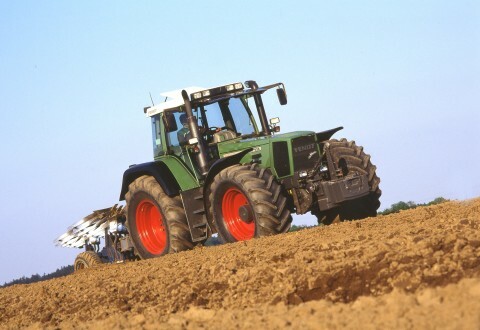 The Fendt spirit flows through every Vario transmission. The modern and constantly improved manufacturing and assembly line that brings 77 Vario transmissions to life every day, also shows that Karl-Heinz Welz, Head of the Transmission Plant, and his team, do not rest on their laurels. Walker is proud of a team who mastered the serial production of the complex powertrain of the Fendt Vario 1000 from day one. "Every employee who touches one of those units gives life to the Fendt tractor. We embody the Fendt spirit!" Fendt relies exclusively on internal skills in its transmission manufacturing, as well as decades of experience in the serial production of stepless gearboxes. Tonnes and tonnes of steel are delivered every day and are transformed into every single part of the gearbox, be it the gears, shafts or casings. From production to assembly, everything happens in the same department in Marktoberdorf. "Everything we do strives for 100% quality," affirms Assembly Manager, Mr Wagenseil. "We believe that the trust that hundreds and thousands of people show in us, must be earned on a daily basis." A change of scene: At the transmission factory, a 3-tonne VarioDrive transmission gearbox with rear axle rolls off the production line. It awaits the first tough test of its young life; at high-tech testbench no. 4, it will undergo a 30-minute endurance run that it will pass with flying colours. Every work situation that a tractor might encounter is simulated, so that the gearbox's controls, components and processes can be given a full health check. Everything is automatic and equipped with the latest test systems. Calibration, high-pressure testing up to 550 bar, maximum speed... The enclosed test booth is like an operating room, with gears and gauges working with precision at maximum performance.